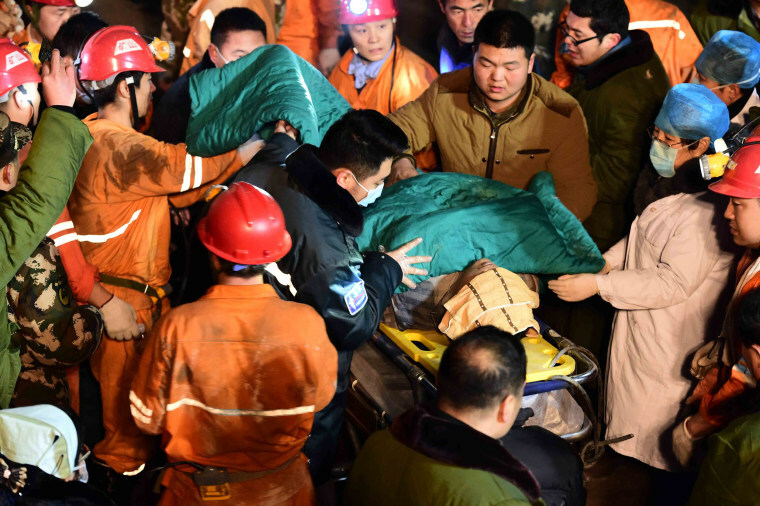 The owner of Chinese gypsum mine that collapsed Friday, killing one worker and leaving two dozen others trapped, committed suicide early Sunday, China's state-run news service reported. The news service, Xinhua, identified the owner as Ma Congbo. Ma was president of Yurong Commerce and Trade Ltd. Co. and owner of the mine in Shangdong Province, south of Bejing, the Associated Press reported. Ma was working alongside hundreds of rescue workers when, at 2 a.m., he leaped into a well and drowned, according to the AP and Xinhua. The cause of the collapse, which occurred just before 8 p.m. Friday, remains under investigation, Xinhua reported. Four workers escaped and seven more were rescued; on Sunday, 17 workers remained trapped as emergency personnel tried to get them water, according to Xinhua. The collapse came just days after a massive manmade landslide in Shenzen killed one person and left 75 other people missing. After similar safety disasters, company officials are typically subject to severe punishment.